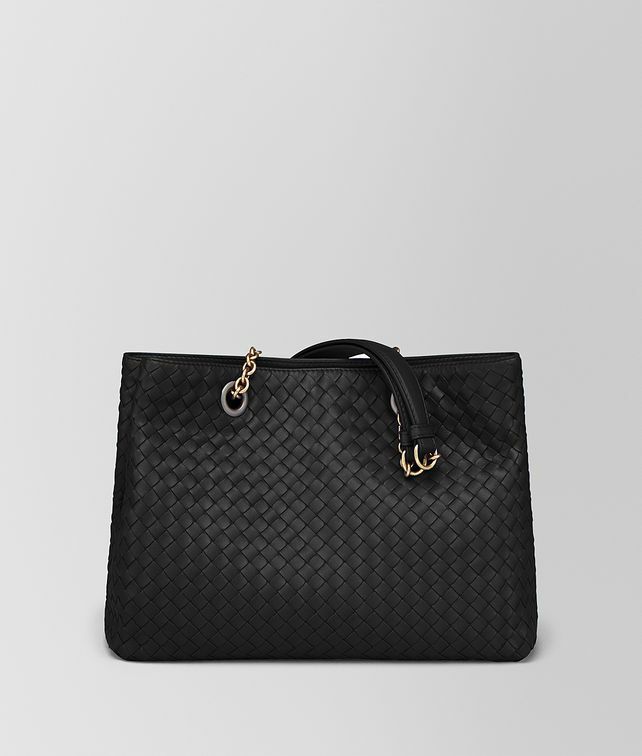 A must-have for day-to-night carry, this tote is as practical as it is polished. Crafted from signature intrecciato nappa, it's divided into two compartments fastened with hidden magnets. The suede-lined interior features a zipped partition, zip pocket and two flat pockets. An elegant dark-gold tone chain strap with leather padding is a thoughtful finishing touch. Handle drop: 22 cm | 8.7"